Mit diesem fröhlichen Little Monters Bouncing Bob Rucksack passend zu den Bouncing Bob Brotdosen macht von nun an jeder Ausflug und jeder Urlaub tierisch viel Spaß. Product information "Mini Duffle Backpack Little Monsters - Bouncing Bob"
description & equipment And off you go! The Bouncing Bob and Mad Mabel monsters keep their teeth bared and their eyes wide. 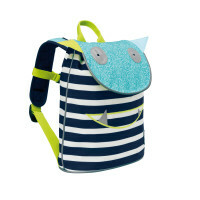 The cheerful, colorfully striped backpacks provide fun and safety on outings. The eyes and teeth glow in the dark when exposed to light to provide good visibility and safety on the road. Everything has its place thanks to the large interior compartment. 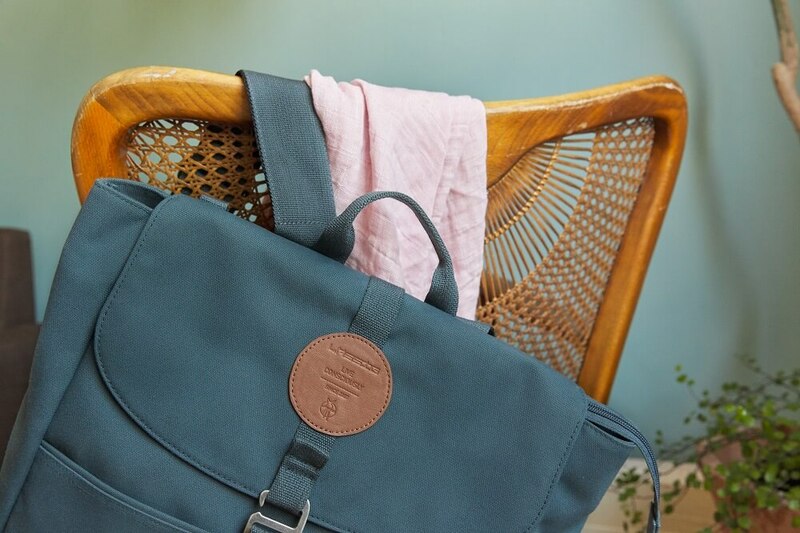 There is plenty of room for a few pens and pencils in the extra zipper compartment and for a water bottle in the integrated interior side pocket. 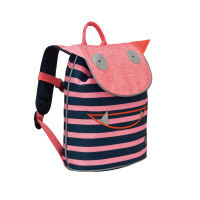 The wide, padded straps make the backpack easy to carry and can be individually adjusted to the child's size. A chest strap provides extra stability. A clear name badge sleeve is on the back side to avoid bag mixups.